I am a provider of Johansen Individual Auditory Stimulation (Johansen IAS). Please click on the logo to go to the website for more information. 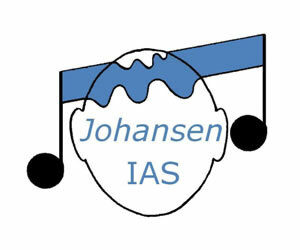 Click here to go to the Johansen IAS Website. Information about JIAS can be found on the web site, above. This page summarises some of the information you will find there, and answers some other questions you might have. How does JIAS work? JIAS is a Sound Therapy programme, which involves listening to music specifically designed to stimulate the nerve pathways into and within the brain - in particular the areas dealing with language. The music is played through headphones. It is profoundly relaxing and is known to help to reduce stress. When the sub-skills for listening and learning are strengthened through listening to Johansen IAS CDs, language processing abilities can be seen to improve. Concentration, listening and understanding of language are enhanced as incoming information is dealt with more quickly and efficiently. This message came from the parents of a bilingual seven year old girl with listening and concentration difficulties. She tended to daydream in class. "G. really enjoyed her last CD (her fourth) and we see a huge improvement in her concentration. We've got to the stage that we worry about her spending too much time reading books! Taking into consideration your observations, we have decided to stop the music therapy with G's disappointment. We are very pleased with the progress she has made so far. We learned a lot about her needs and now we can support her learning with your valuable tips. Thank you for your support in the process in the last months. We appreciate it and we see a bright future for our daughter." "Lismenary Clinic is an amazing place where everything is made so easy to understand. We were attending for JIAS which was a new concept to us but before long we had a clear knowledge of the science behind it. The treatment has made such a difference and we continue to attend." "Just a wee note to tell you that wee J. got an A grade in both transfer tests. Obviously we are delighted and this result allowed us to choose the most suitable school for him. I still credit JIAS with turning J. around. I will always remember the huge change in him when we ran the first programme when he was about four. It looked as if someone switched Jude on at that time. He will probably always be that quirky little guy but I know he will continue to develop as he moves into this next phase. Once again thank you for the part you played in J. 's development, it made such a difference. I just thought you might like to hear his good news." What is the difference between hearing, listening and auditory processing? Listening is a learned behaviour or skill, and is conscious attention to sound (e.g. listening to the radio). Auditory Processing describes the brain’s mechanism for processing sound, and is the medical term for listening. Will JIAS cure my/my child’s problem? JIAS is not a stand-alone cure. It makes access to listening and sound processing easier, which supports change and progress in co-occurring development and learning. Young children may only listen for 6 to 7 months while adults may be on it for 18 months. Can I listen for longer than 10 minutes/day? No. The auditory pathways would become over-stimulated. We do not even recommend doing two sessions in one day to ‘catch up’ after missing a day. It is possible to ‘habituate’ to therapy and the benefit would be lessened. Why do I have to get new CDs every few weeks? The JIAS programme provides auditory stimulation for a wide range of sound frequencies needed to process speech and language. Each CD covers a particular frequency range and it is important to listen to the appropriate ones as advised by your provider. How can listening to music help my child’s speech? It has long been accepted that music and language are processed in the same part of the brain. Repeated listening to music raises awareness of the different aspects of speech and language. How can JIAS help difficulties such as Autism and Attention Deficit Disorder? JIAS can help to improve the efficiency of brain function and how well different parts of the brain co-ordinate with each other. A person with a well integrated brain will find it easier and less stressful to learn, pay attention and adjust to new situations. The main expense is the session fee of your JIAS provider. This will vary depending on their individual profession. Other than that, you will only be paying for the cost of the CDs.